More than 200 people dead and 600,000 displaced. This is an urgent appeal! Please help! 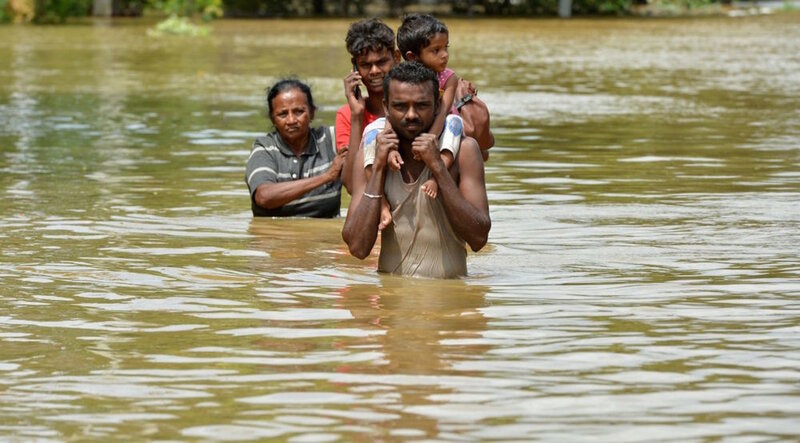 Sri Lanka experienced widespread flooding and landslides on Friday 26th May this year. Over 1,500 homes have been destroyed and 16 hospitals have been evacuated since heavy rains began to hit southern and western areas of the island. Thousands have been left temporarily homeless and in serious danger. 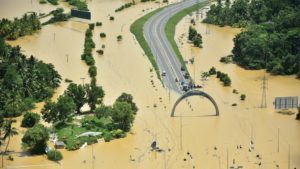 The Air Force has stepped in to help rescue flood victims, but unfortunately the toll continues to rise. This disaster has brought significant stress to the capital. Al Jazeera's Minelle Fernandez, reporting from Matara, said aid agencies were struggling to distribute fresh food to rural areas. "While waters are receding in some areas, there are still some parts that are 10 to 12 feet under water." Foreign Minister Ravi Karunanayake mentioned that 16 countries have sent medicines and aid supplies to assist those who have been left homeless, but so much more needs to be done. Residents are still unable to access fresh water and electricity and therefore are heavily reliant on voluntary services. The UN has cautioned that with a growing number of displaced people and a lack of temporary shelters, many people are at risk of contracting mosquito-borne dengue fever and other water-borne diseases. Please, send your support and provide food, water purification tablets, tents and medical relief for people in need!